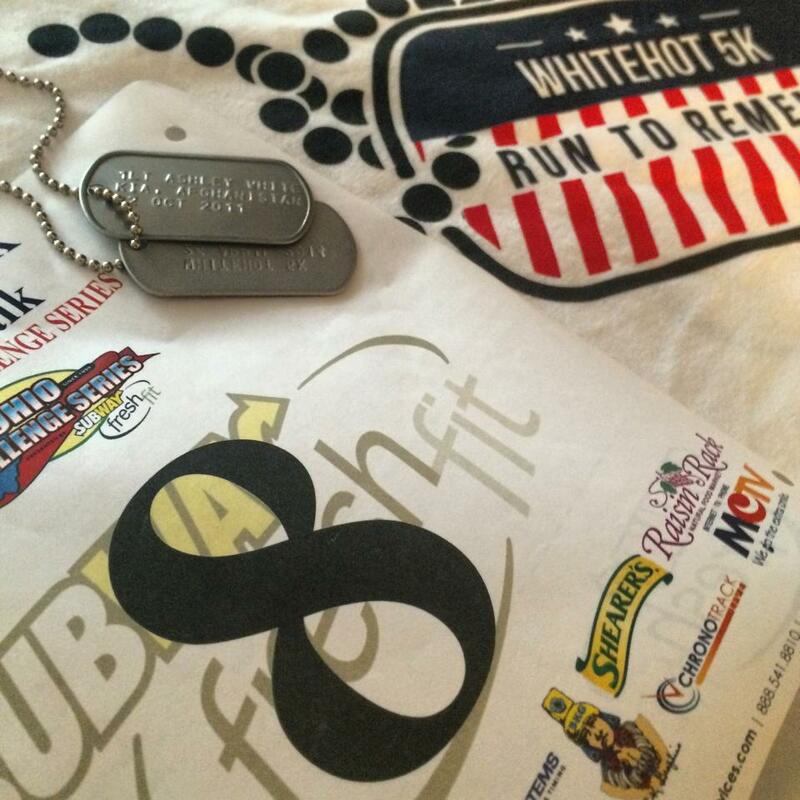 Medal, shirt and bid from 2014 WhiteHot 5K. Photo is compliments of participant David Becker. The event is a regular tribute to Lieutenant Ashley White who graduated and was commissioned from Kent State University Army ROTC in 2009. Ashley was killed in action in Kandahar, Afghanistan on 22 October 2011. Proceeds from this race are awarded as scholarships to current Kent State Army ROTC Cadets who display similar qualities and characteristics to Ashley and are dedicated to serving others! The inaugural event was held on April 29, 2012. Past results can be found at Ohio Challenge Series. If you would like to see photos from last year’s event please visit Buckeye State Entertainment.